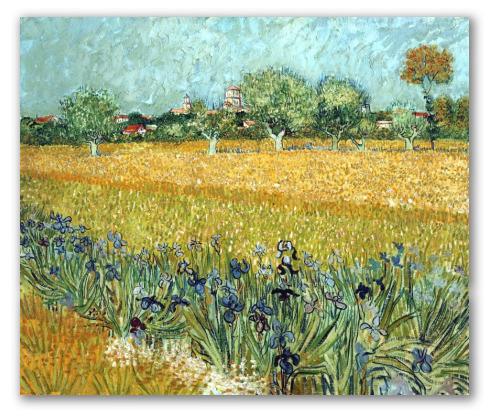 "View of Arles with Irises" by Van Gogh, Arles landscape. 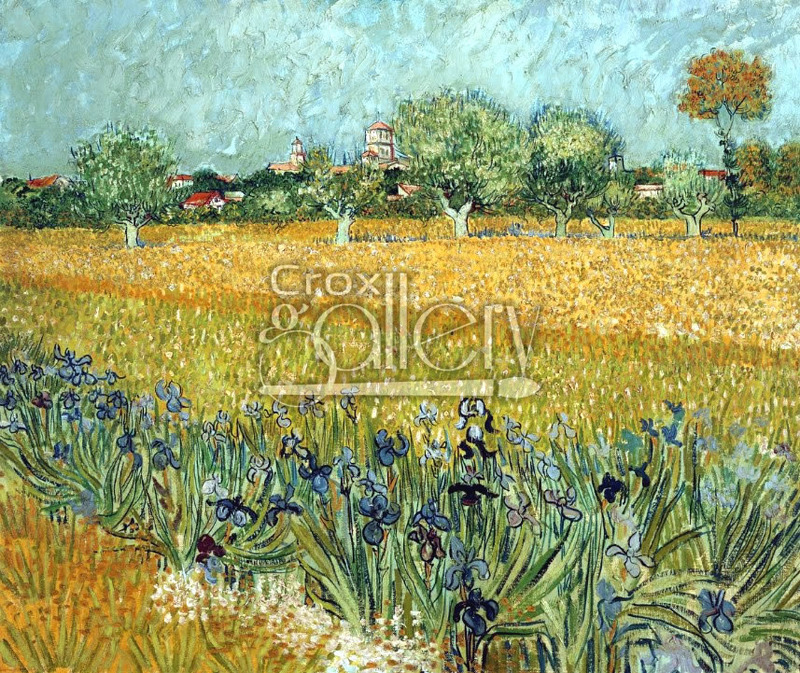 View of Arles with Irises was painted in 1888, Van Gogh wrote to his brother Theo about this landscape in Arles saying: “It is like a dream”. The painting is exhibited at the Van Gogh Museum, Amsterdam.